Q) How do I get in contact with you? A) Please contact me via the email address on the home page of this website. Q) Where am I going? 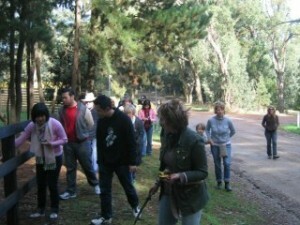 A)The tours are conducted from Moorooduc Estate Winery 501 Derril rd, Moorooduc. Q) Can I book in for the lunch with out doing the tour? Q) Are you able to cater for particular food requirements? A) Yes… but you have to tell us when you book, as we wont be able to do something on the day. 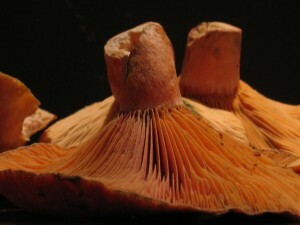 Q) What happens to the Mushrooms we pick? A) We cook them up in Moorooduc Estates beautiful wood fired oven and feed them to you with a glass of Moorooduc estate wine!! Q)Can I take the mushroom we pick? A) You will need your own car. A) Wear appropriate clothes & shoes for the weather. Q) Should I bring my elderly grand parent? A) Maybe…If they are used to walking a couple of kms per day then sure. Wheelchairs, walking frames, not confident on walking over broken ground? then sorry its not for them. Q) Is it good to bring small children? A) You can but they often cry a lot and one of the parents more often than not goes and sits in the car with the child and misses out, its up to you. Q) Can I bring my dog… he really friendly and lovely! A) We like dogs a lot!! Although many other people are scared of dogs regardless. Other people have paid to come on the tour as well, so we ask you to please leave your dog at home or in the car. Q) Do you sell vouchers? A) No, it is too complicated with this type of event. Join our mailing list and you will get to hear about the tours before anyone else. Q) Can I change my booking at short notice? Q) I forgot to attend a tour can I have a refund? unable to attend on the day there are strictly no refunds for any reason. This includes “My girlfriend’s dog was a bit unwell on the day” I kid you not.